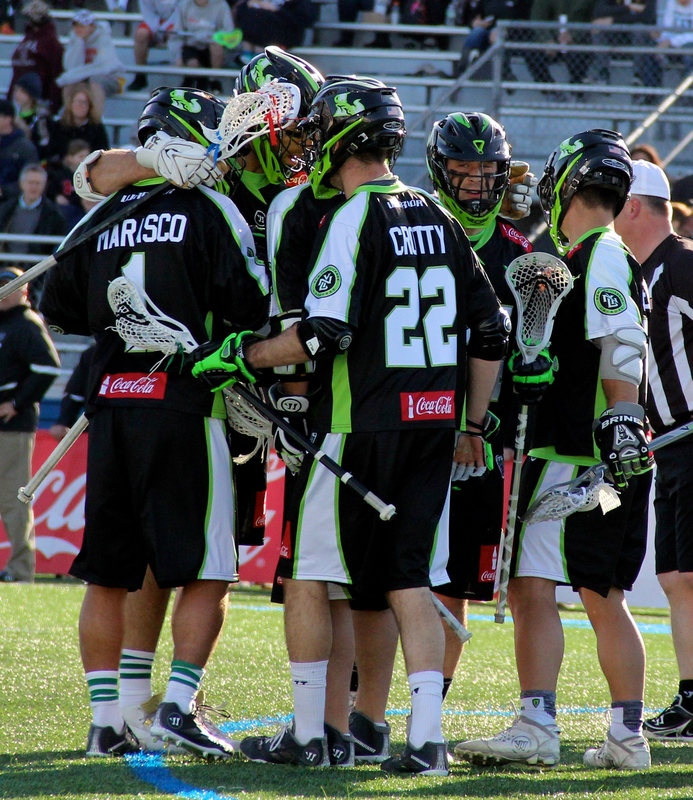 The New York Lizards Opened the 2015 Major League Lacrosse Season with a 14-8 victory over the Ohio Machine at James M. Shuart Stadium on April 12. Leading the way on the offensive side for New York was the combination of Matt Gibson and Matt Poskay , who combined for eight goals in the game. Things did not start off very well for New York, who was trailing Ohio 4-3, before the offense started to find their rhythm in the Second Half. Gibson recorded two goals prior to the half, while also having a goal at the 13:08 mark in the Fourth Quarter that sealed the victory for New York. Poskay, was acquired by the Lizards in the acquired in the 2015 Supplemental Draft had a big game in his debut. The Midfielder scored twice in the opening half, including a key goal off a feed from Ned Crotty with 40 seconds left in the first quarter. There was also a trio of Lizards that also made a splash on offense as JoJo Marasco had two goals, Crotty notched four assists and seven-time MLL All-Star Paul Rabil chipped in with a goal and assist in his debut. In the cage Drew Adams played well in the cage for New York, as the keeper made several huge saves in the Second Half of play. The Lizards will now have a home-and-home series against the Rochester Rattlers, starting April 19th at Eunice Kennedy Shriver Stadium in Brockport. New York will return home on April 26 to host Rochester, with the first 1,000 fans in attendance will receive a Greg Gurenlian limited edition bobblehead.